It’s Gravenstein Apple time! In late August – for one day only – a special guest from Sonoma County, Paul Kolling, returns to Mar Vista Farmers’ Market with delicious treats from Northern California – Gravenstein apples from Nana Mae’s Organics. Coming to Los Angeles fresh from the 44th Annual Gravenstein Apple Fair in Northern California, Paul and his flavorful wares, grown in Sonoma County, will be available from 9 am – 2 pm on Sunday, August 27. Paul’s company, Nana Mae's Organics, showcases organic Gravenstein apples from Sebastopol – the Gravenstein capital of the world – when the delectable fruits with a very short season will be at their peak. An avid apple entrepreneur, Paul also has a separate company, Specific Gravity Cider, which offers natural hard cider made from certified organic, heirloom Gravenstein apples from Sonoma County that are hand-selected at the height of freshness. Native to Denmark and discovered as a chance seedling in 1669, the Gravenstein was first planted in Sonoma County in 1811 by Russian trappers. With a short and early season, it ripens in late July, making it one of the first apples in North America ready for market. The squat, irregularly shaped apple has a very short stem and comes in a variety of colors, usually with a greenish yellow background with broad red stripes. Known for its all-purpose versatility for eating, cooking and cider, the Gravenstein has a crisp, juicy texture, and a flavor that is aromatic and full of old-fashioned, sweet and tart flavor. 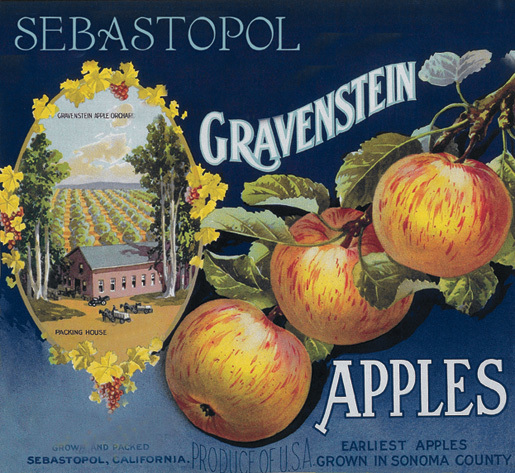 Grown in only a few countries worldwide, Gravenstein apples in the U.S. are found predominately in the Sonoma County town of Sebastopol. 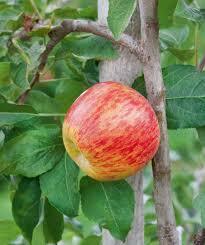 In 2005, Slow Food USA declared these apples to be a heritage food. First launched in August 2006, Mar Vista Farmers’ Market has grown from just a handful of farmers and food vendors to a weekly event with over 50 farmers offering fresh fruits, vegetables, flowers, plants and other foodstuffs; 35 purveyors of tasty foods; and special events, activities for kids and dog-sitting. Located 3826 Grand View at Venice Boulevard in Los Angeles, Mar Vista Farmers’ Market is open rain or shine on Sundays from 9am to 2pm, except major holidays. 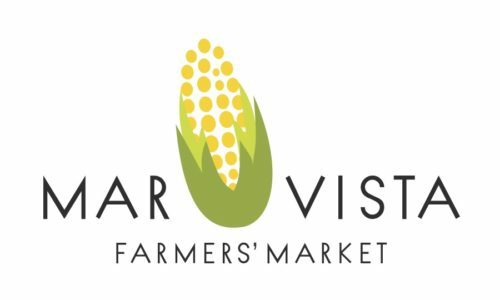 Mar Vista Farmers’ Market is a neighborhood Certified Farmers Market – selling direct to consumers fruits, flowers and veggies in their freshest, ripest form, straight from California family farms. In addition, there is a wide selection of prepared foods at the market; all vendor stalls are family owned and bring a personal touch to their delicious multi-cultural offerings. For children, there’s a complimentary craft workshop each week, with face painting the last Sunday of the month, when Farm Style Cooking for Kids also takes place. A free dog-sitting service is provided for canine visitors. All enjoy music by resident DJs, featuring an eclectic play list that melds rural and urban, past and present. 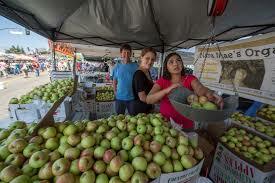 The first Mar Vista Market took place August 6, 2006. In a short time, it met its goal of bringing fresh, direct-marketed produce from California farmers to the community. Sundays are a bustling example of Mar Vistans coming out to shop, eat, and visit with their neighbors. The farmers’ market helps achieve broader social impacts as well, such as community development, better health and nutrition, and preserving family farms.